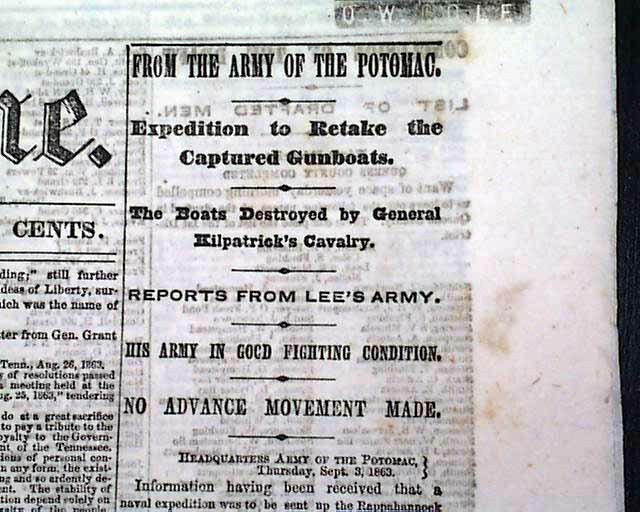 Page 5 has a brief but notable report headed: "Victory of Kit Carson Over the Indians" about the defeat of a group of: " ...Navajoe Indians beyond fort Canby..." by part of the 1st New-Mexican Regiment led by Kit Carson (see). 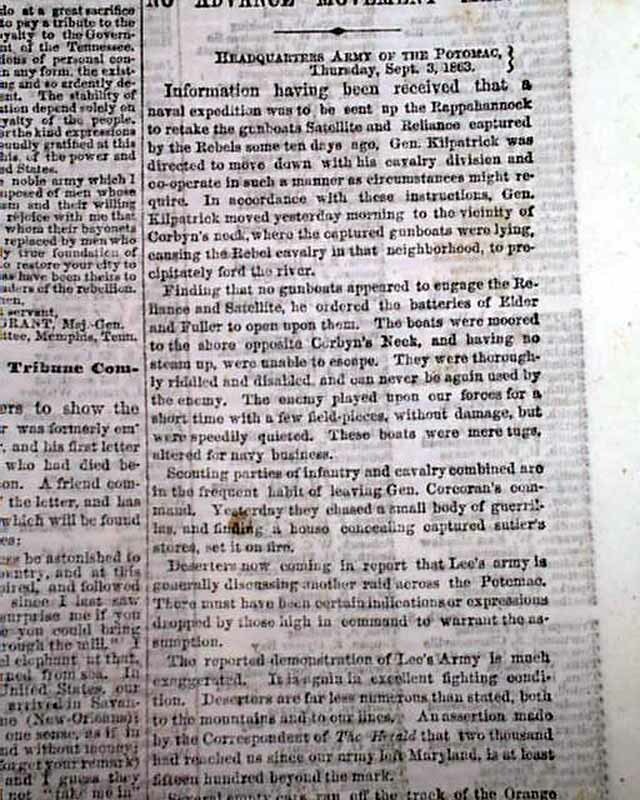 Quite rare to see a report mentioning this famous Old West scout and explorer, especially from the Civil War period. 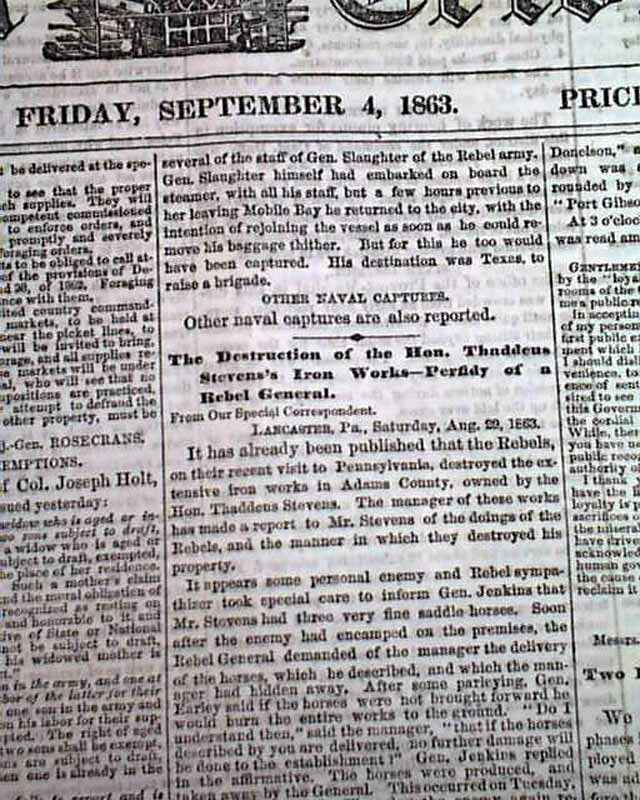 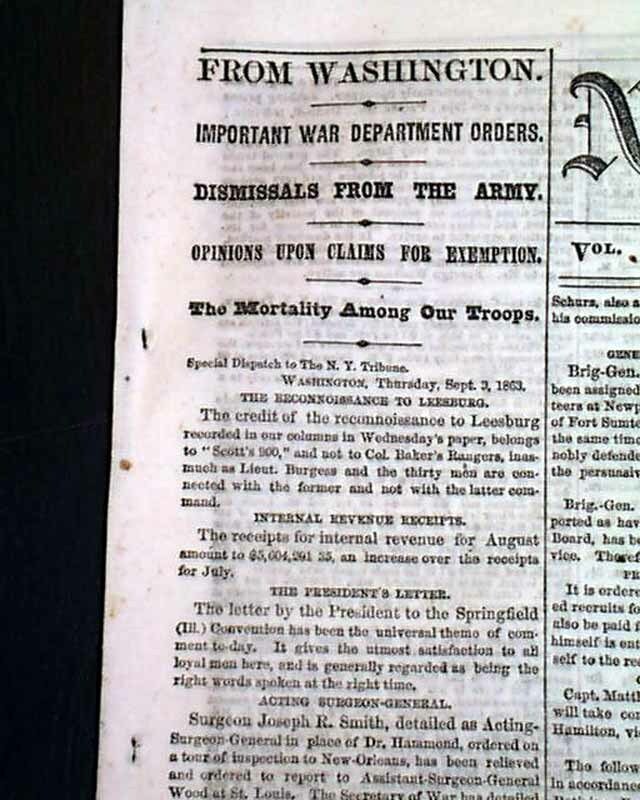 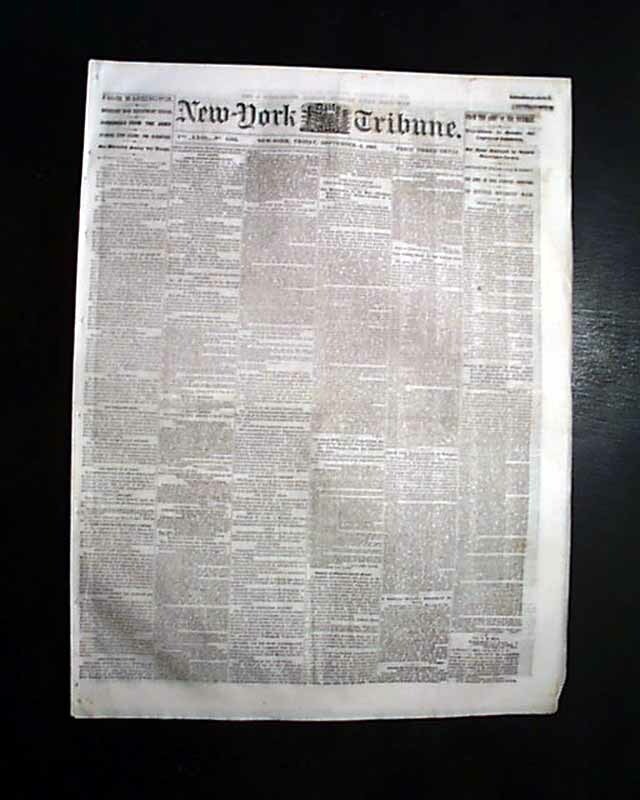 The front page has much reporting on the Civil War including: "Expedition to Retake the Captured Gunboats" "Reports From Lee's Army" "His Army in Good Fighting Condition" "Dismissals From the Army" and more. 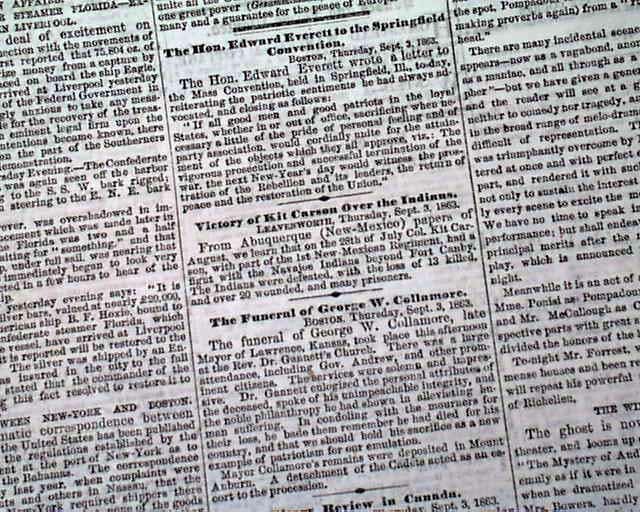 Eight pages, never bound nor trimmed, very nice condition.